Read our helpful guide to second hand Rover 25. AA Cars works closely with thousands of UK used car dealers to bring you one of the largest selections of Rover 25 cars on the market. You can also browse Rover dealers to find a second hand car close to you today. All used Rover 25 on the AA Cars website come with free 12 months breakdown cover. Smaller than many of the cars in the Rover range, the 25 sits somewhere between a city car and a family hatchback, and is essentially nothing more than a re-badged Rover 200. 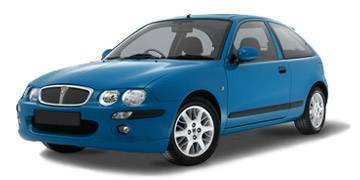 As with all of the Rover range, today it appears a bit dated, but other than its ageing looks, it presents a good alternative to the more popular Clio, Corsa or Fiesta. The 1.4 litre petrol is the best power option, propelling the car with competent performance, and while handling isn't as dynamically exciting as some, its comfort levels are high. Spacious inside (if a little sparse), the Rover 25 stopped production in 2005, but there are still plenty around offering excellent value and reliability on the used market.